Grindavík is a beautiful fishing village at the South West coastline of Iceland with a lively and busy harbour and wonderful nature. The Reykjanes Peninsula exists where the North Atlantic ridge rises from the ocean. Here you can find 100 different craters, caves and lava fields, a variety of bird life, astonishing cliffs, high geothermal activity, and black sand beaches. Many interesting geothermal hotspots and attractions are also located in this area. You don´t have to go far from the international airport to experience the wonders of Icelandic nature. The nature on the Reykjanes peninsula is unique and since November 2015 it is known as Reykjanes Unesco Global Geopark. There are plenty of restaurants all over Grindavík. The restaurants are ranging from low to high prices and differing in quality, so there should be something to suit everyone´s needs. Whether you are interested in healthy food or something less wholesome, domestic or foreign cooking, it should be easy to find something tasty. 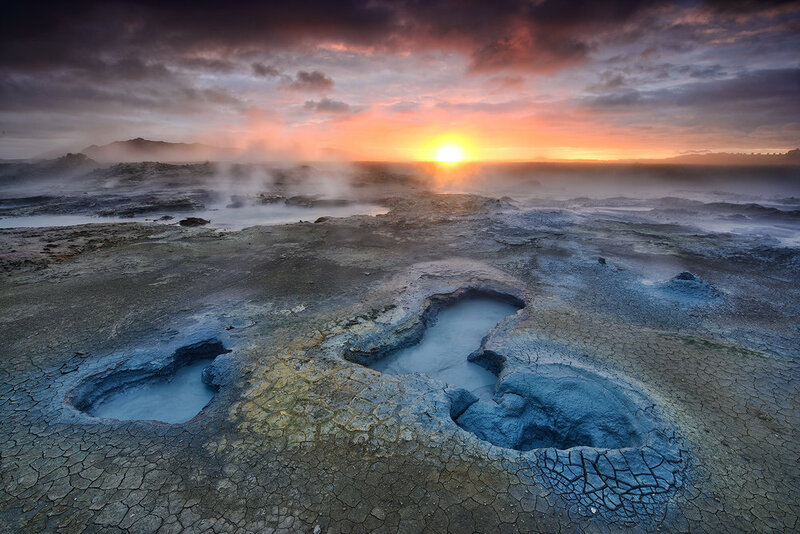 The Blue Lagoon is a health and geothermal spa on the Reykjanes Peninsula, a visit to this phenomenon spa can be a memorable part of your stay here in Iceland. Guests renew their relationship with nature, soak up the scenic beauty and enjoy breathing the clean, fresh air while relaxing in the warm geothermal seawater. Geo Hotel offers complimentary transfers to and from the Blue Lagoon. These transfers can be scheduled in the hotel lobby upon arrival. Please note that a reservation is required for the Blue Lagoon. They welcome many visitors each day and therefore pre-booking is essential to ensure your space. If you arrive without a pre-booked ticket, you are very likely to miss out. Reykjanes peninsula is accessible all year round and for most visitors it is the gateway into Iceland. Tour guides have detailed knowledge of their area, so no one is more suited to lead travelers to find their next adventure here at Reykjanes. The role of the tours is to make it as convenient as possible for people to enjoy the wonders of Reykjanes with their loved ones, and make the adventure a memorable one.